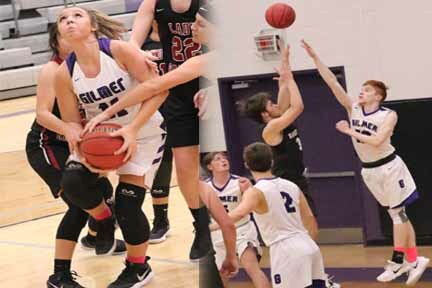 The Lady Raiders of Southeast Whitfield came into Gilmer High School on Monday looking for an upset and there wasn’t any way the Lady Cats would let that happen. Action started slow with the Lady Cats having to get passed a low shooting percentage and foul trouble early in the first period thus allowing the Lady Raiders to carry a 2 point advantage in to the second period. The Lady Cats fought through adversity in the 2nd to put 18 points on the board while holding the Lady Raiders to 15 points. Really good defense played a role in the score being 26-25 at the half with the Lady Cats on top. Starting in the 3rd period it was all Lady Cats. These girls came out with new life and energy. Mary Lee Callihan put up 8 of her 12 total points to start putting the Lady Rebels on the bus with a loss. The Lady Cat defense played outstanding only allowing their opponent to put 2 points on the board. At the end of 3, Lady Cats 46-Lady raiders 27. The 4th Period was almost a carbon copy of the previous period with the Lady Cats owning the floor and outscoring the Lady Raiders 26-16. 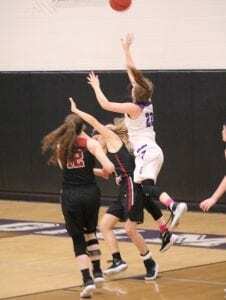 Leading the scoring for the Lady Cats were Katie Kiker-14 points, Mary Lee Callihan-14 points, Bailey Teague and Emma Callihan both had 7 points on the night. On the boys’ side it was a much different game. Both teams came out fast but neither team could find the net. At the end of the 1st period the score was tied at 9. As the 2nd period began the shots started to fall for both teams and in a manner that is Bobcat basketball, they would’t give up. The Bobcats ended the 1st half with a 22-21 lead headed to the break. The 3rd period kept the pace of the first half with not a lot of scoring by either team, There were multiple lead changes through out the the period with both teams putting 13 points on the board. Gilmer 35-34 over the Raiders of Southeast headed to the 4th. Both teams came out of the gate headstrong and looking for the region win in the 4th. 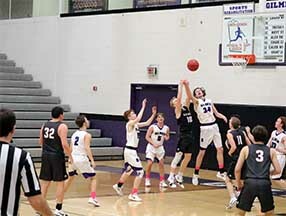 The Southeast Raiders hit several key baskets to take the lead midway through the period and was able to maintain the lead until late in the game. The Bobcats battled back to within 3 points at 19.2 seconds on the clock. David Smith #5 swished the net with the biggest 3 pointer of the night at 6.9 seconds in the game to tie game 45-45 and send it to overtime. In the free basketball period(overtime), The Bobcats did a great job of shutting down the Raiders. Scoring 9 points in the overtime period, the Bobcats sealed the win and took a big region win 54-49. Leading the scoring for the Bobcats were Tyler Simms-18 points, Kell Weaver-15 points and Tripp Pierce-9 points.